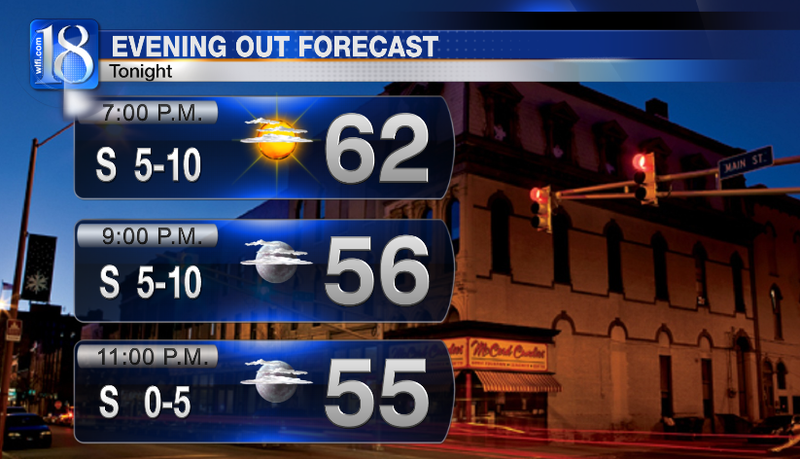 It was another chilly start to the day but we will end up being a little bit above average and very sunny. 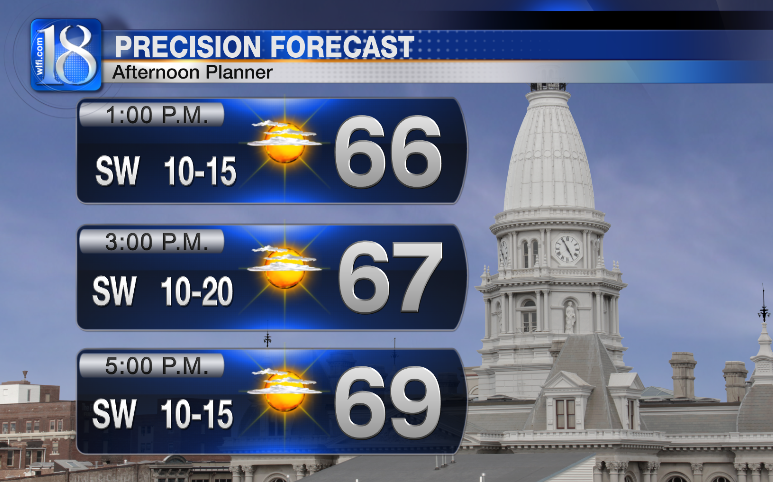 Highs will be right around 70° this afternoon. As we head into the evening hours temps will fall into the 50s with winds dying down a little. 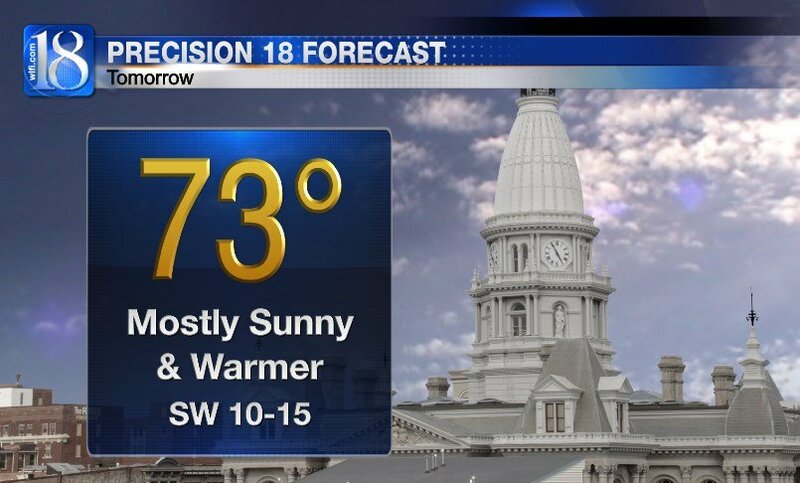 We will be a tad warmer tomorrow with a high around 73°. Our average high is 65°.